Powell Group Partner Companies - AMG Metals Inc. Safe Roads Engineering (SRE) strives to provide clients with services and products that are among the best in the industry. We offer engineering services for roadside safety systems, traffic staging and management plans, asset management and infrastructure inspection services, along with sign structure & noisewall design services. Over the last 55 years we have never forgotten that we are in the public safety business. Every product that we produce and every service we provide helps people move more safely. On roads, in work zones, at airports, in parking structures, and even inside factories. Stinson Owl-Lite’s products and services guide, protect and inform drivers, passengers and pedestrians. While signs and safety devices remain at our core, as technology advances the art and science of safety, we at Stinson Owl-Lite are committed to being on the leading edge of this evolution. Stinson Owl-Lite’s investment in new digital sign making technology and our numerous patents to show this commitment. Polefab was established in 1984 and assumed the ongoing design and manufacturing of Lacal sectional steel poles. Combining the unique qualities of durability, safety and versatility, Polefab provides economical solutions to many of your lighting, utility and signage requirements and are specified by MTO for many of their traffic controlled intersections throughout the province. PGC SERVICES offers Hydrovac Excavation, Sewer Flusher & Stone Slinger Services. We have multiple locations throughout Ontario. We offer state of art equipment and hard working well trained crews. GeoSolv offers turnkey solutions to common soil problems. GeoSolv designs and builds Innovative Foundation Solutions™ including Geopier® Solutions, helical & micropile systems for ICI applications and other markets such as transportation, multifamily residential, tanks, industrial and power facilities. The Geopier suite of ground improvement solutions provides positive ground treatment for all soil types – faster and less costly than piles, caissons or excavation and replacement. Control your soil risk and your costs by hiring GeoSolv on your next project. Lecol Co. Ltd. is a distribution company for roadway related safety products. Our slogan is “Our Business is Your Safety”. Although the focus of the company has been the distribution of crash cushion safety systems, we have expanded our expertise to include flexible posts and markers, plastic safety barriers, glare screen systems and vehicle arresting barriers. We are members of the Ontario Goods Roads Association; TAC Transportation Association of Canada; and ATSSA American Traffic Safety Services Association. 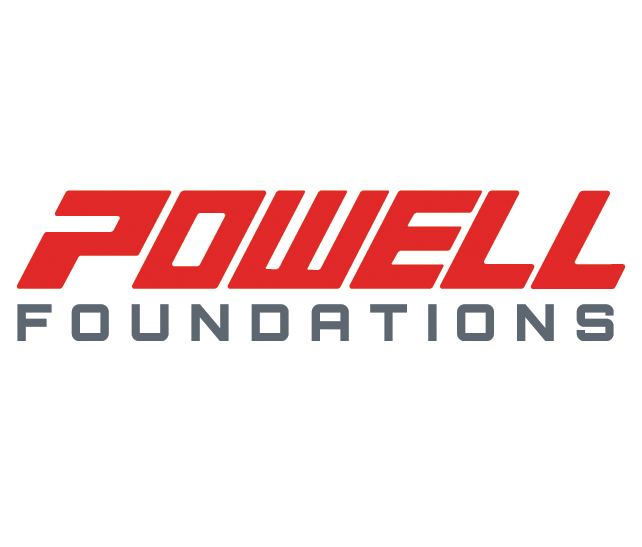 Powell Foundations is a foundation company which specializes in providing design, supply and installation of shoring and foundation systems. Our mission is to provide cost effective foundation solutions and exceptional service to developers and general contractors in the Ontario market. We strive to be the best and the safest in the industry through hard work, determination, ingenuity and commitment to our clients with an effort to develop and maintain long term working relationships. Infrastructure Logistics, in partnership with J.F. Kitching & Son Limited, provides safe and reliable flatbed and float trucking services throughout Ontario. Infrastructure Logistics is a company that you can trust with all of your heavy equipment and load transportation needs. We meet and strive to exceed all industry training and safety standards. In order to provide a superior level of service to all of our partners, we outfit and service our highly-skilled team with a complete set of resources, enabling them to be the best in the business. The Mobile Barrier Trailer (MBT-1) is and integrated, rigid wall trailer, which is used to provide mobile and improved, safety and work environments. This is applicable for personnel at maintenance, construction and security sites. MBT-1 is specifically designed to decrease work zone injuries. By forcing traffic to pass away from workers (fore, aft and side) we can reduce the number of collateral vehicles and equipment needed at the work site. Founded in 2007, our focus rests on storm water management and storm water/grey water harvesting. We work closely with Cultec Inc. and Wahaso Water Harvesting Solutions Inc. to utilize cutting edge technology in the storm/grey water industry. The Clean Water Act declares that a certain percentage of the storm water runoff from a project must be contained and treated on site. In years past, the solutions have included labour intensive holding ponds, concrete structures and steel/concrete pipe systems.